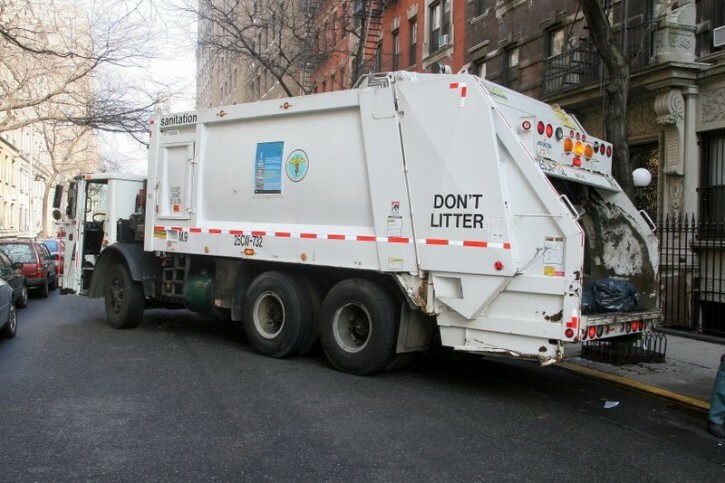 Albany, NY - A new state law that’s now in effect requires drivers in New York to slow down, move over and proceed with caution when approaching garbage trucks on the road. The state’s Move Over Law is expanding to include recycling and waste collection vehicles. Under existing law, drivers are supposed to move over and proceed with caution when approaching law enforcement, emergency responders and road crews if vehicles have active flashing lights. Garbage trucks will be added to that list Tuesday. Gov. Andrew Cuomo signed the bill into law in August. The state Legislature passed the measure in June. Violators are subject to a $45 to $100 fine and can carry a prison term of up to 15 days. The law comes nearly a year after a Garbage Services employee was killed by a motorist in Tioga County as he was unloading a bin into the garbage truck. I think the law should be the other way around. Garbage trucks should be required to pull over as much as possible so motorists could pass instead of holding up traffic. people barely move for an ambulance or fire truck.now people think they will move for a garbage truck? ar they frikin kidding!?!!! the only thing worse than school buses that contribute to the already insane traffic here, are those trucks. last week i pulled out from my parking spot and was stuck behind one of these mamzers for 15minutes! on a single city block!!! even when they have the space to pull over, they dont. there deliberately spiteful. who is advocating for passing these laws! !